Fuel Express is not affiliated with, nor offers sales or customer service for Keystone fuel credit cards. We are a fleet fuel card provider that is accepted at virtually every gas station in the U.S. including every Keystone gas station location. This page is intended for current or prospective Fuel Express customers to review all of our fleet fuel and gas card acceptance locations. To learn more about our fleet fueling services, please contact us or apply for a fuel card from Fuel Express today. At Fuel Express, we want to help you take control of your fleet operations. With our gas card, your drivers can fill up at any Keystone location. It can also be used at more than 230,000 other locations across the U.S.. 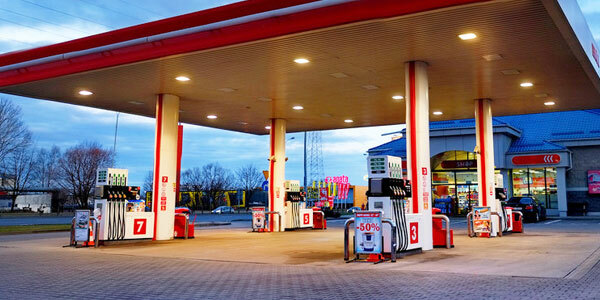 This gives your drivers the freedom to fill up at the most convenient gas station on their route. We cater to fleets in a wide variety of industries. We know that no matter your industry, having a clear fuel budget that you can rely on is key. If you choose a fuel card from Fuel Express, you’ll get budget tools that you can use to keep your spending in line. We offer purchase restrictions that can keep your drivers from buying unauthorized items. We also offer spending limits to make sure your drivers don’t spend more than they should. With these tools, you won’t have to worry about going over your budget again. In addition to a clear budget, we know that the right delivery routes can help increase the efficiency of your fleet. With our GPS tracking service, you can easily plan out the best routes for the best vehicles. And if your drivers run into traffic, a detour, an accident, or another situation that slows them down, their GPS system will get them back on track. Having a fuel card from Fuel Express means you won’t have to worry about collecting paper receipts and sorting through them to track the activity of your drivers. Instead, you’ll be able to access the date, time, and location of every transaction via an online account. This way, you can track where they are in real time and use the transaction details to craft a reliable report. Instead of a Keystone gas card, discover what our fuel cards can do for you and your drivers. Apply today.